Enjoy a different view of the city and Mt. Chokai. 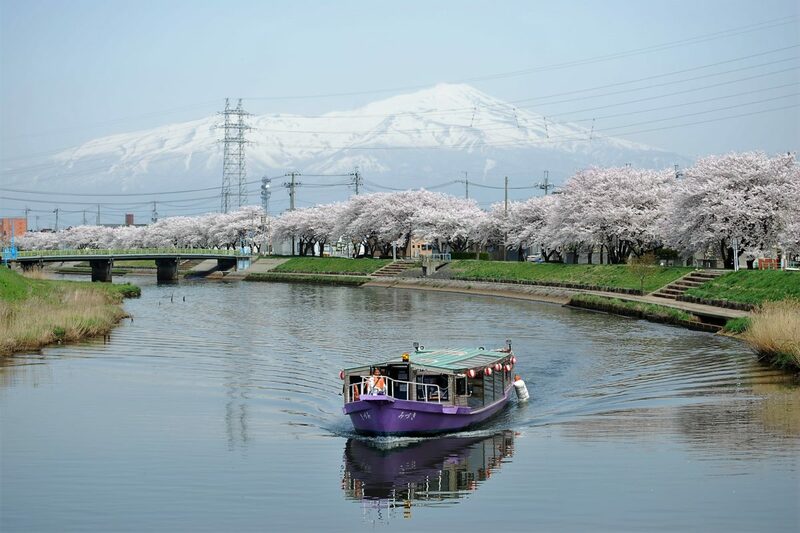 The view during cherry blossom season is especially breathtaking because you can see the beautiful blossoms up close. Location: The boarding site is located on the opposite side of the Sankyo Rice Storehouse across the Niida River. Reservation: Required two days in advance. Please feel free to ask for a price quote and the boarding time. Note: The cruise can be extended for half fare per 30 minutes. You can bring food and/or drinks, or you can order them when you make a reservation.